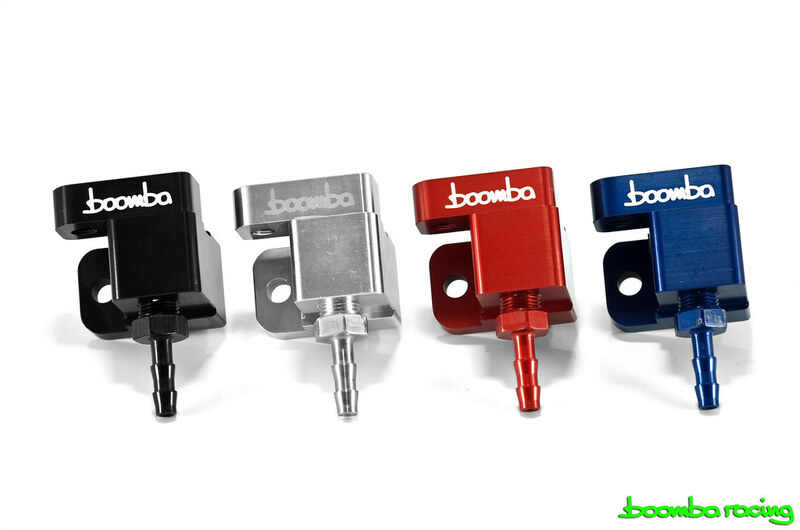 The Boomba Racing Boost Tap is meant to give drivers a way to easily reference their boost and vacuum. This piece installs between the MAP sensor and intake manifold and comes with a preinstalled 1/8” NPT fitting meant to accept a 3/16” hose. This fitting is double barbed to ensure a tight fitment. 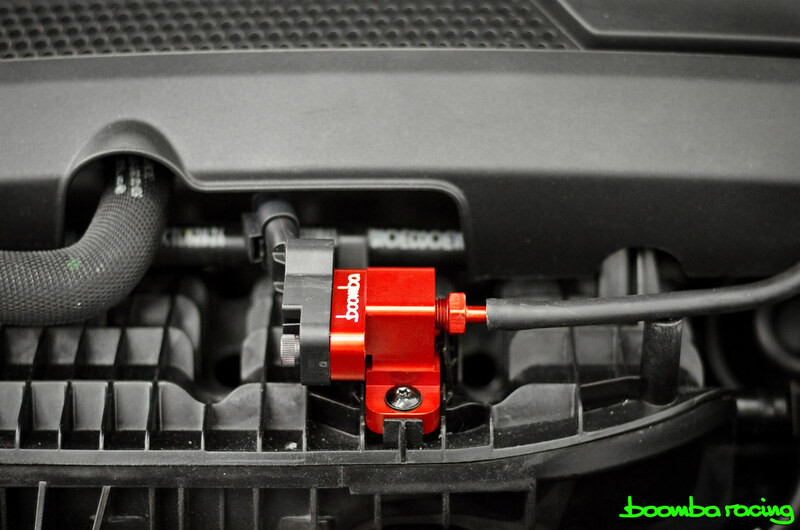 Our boost tap features an o-ring design for leak-free operation. CNC-machined from premium aircraft-grade billet aluminum. Is this a direct alternative to manifold puncturing boost taps? Yes this is! You could even say it is the "bolt on" version. So it should provide accurate readings for piggybacks as well? I am somewhat loathe to whack a hole into my manifold, so this is definitely sounds like a nicer option. The history of "sandwich" style boost taps on these motor has a troubled past. What have you guys done to rectify some of the common problems people have been having with this style boost tap? The reason we set out to design a MAP style piece rather than a "puncture your manifold" style piece is for ease of removal. If you ever wanted to return back to stock, you can easily do so with this boost tap. Variables such as the internal bore design/diameter of the spacer, angle of the stock sensor, and flow through the piece were carefully analyzed before putting anything final into production. Last edited by Boomba Racing; 07-01-2016 at 07:55 PM. Thanks for the response. I believe this is the first one I've seen that is at a 90 deg angle. Hope it works well because it would make the easiest solution for tapping pressure. I really wanted to go this route but considered not to and put a hole in the side of the manifold. I can put a small screw with RTV to fill the hole, but this would be a better solution. This is certainly a good solution for anyone who doesn't want to worry about making any permanent changes or irreversible modifications to your vehicle. Newb question: is this compatible with all aftermarket boost gauge options? Not sure how the gauge hooks up in relation to the tap. Any gauge that runs a true vacuum source will work with this tap. 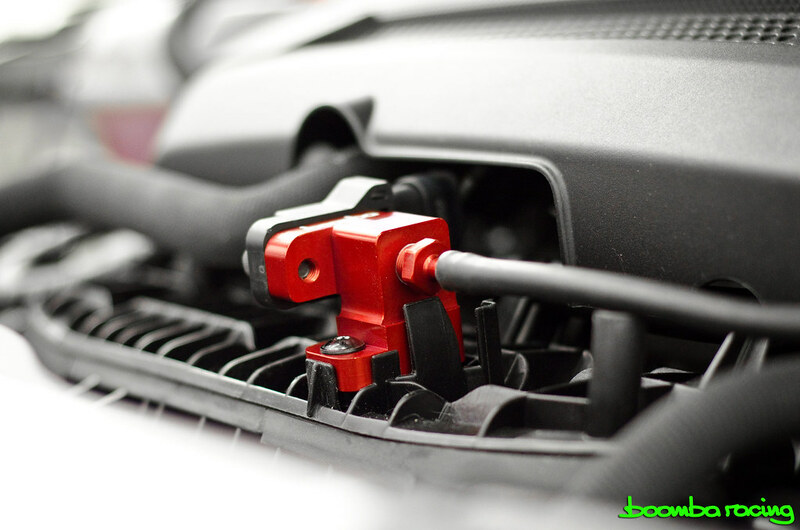 Did you notice any changes in readings on the MAP sensor with it being so far out of the manifold? I know you mentioned above that you looked into it, but curious on the results. I'll have to see if I can find the exact data, but we realized no significant changes in the reading of that sensor. All colors in stock and ready to ship! Save yourself some $ compared to the competition! so basically you are saying this will read the exact same as if you punctured a hole with other boost taps in the manifold?